Merry Christmas! I hope it was wonderfully blessed for all of you! I was able to spend it with my whole family up at a cabin in the snow. There were 19 of us in one large place; it was wonderful. There were many moments where I paused to take mental pictures of everyone playing and laughing. I felt truly blessed to be alive and to celebrate the birth of Christ with my husband, my children, my parents, siblings, all their children and a few guests! It may have been the best Christmas I have ever experienced since I was a child! 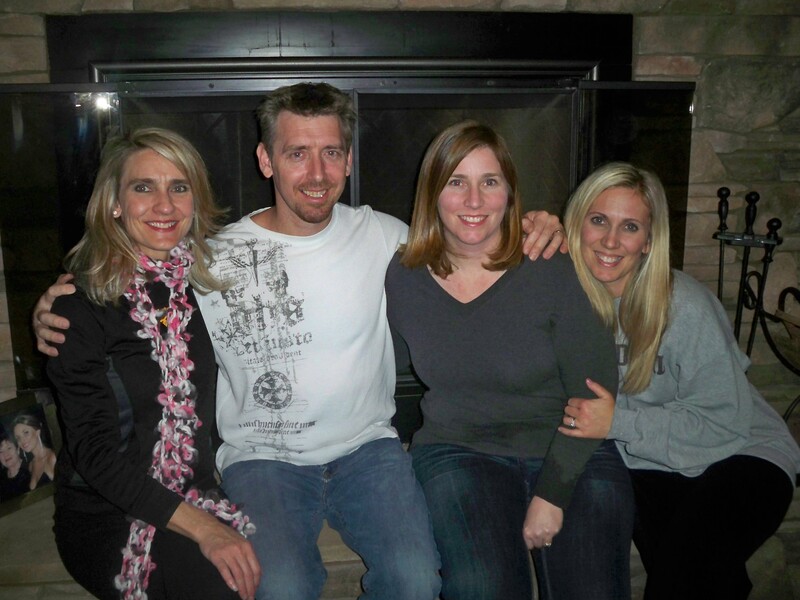 My two sisters, brother and I haven't slept under the same roof in many years! It was so much fun! I love this question…it always makes me re-evaluate and make resolutions that will reveal my desire to be authentically Christian! Let’s make this New Year one in which people are able to convict us of being Christian by what we say, how we act, how we serve and how we pray. With New Years coming there is always talk of resolutions. Quite a few years back, I began making resolutions that would bring me closer to Christ which then in turn would help me to be a better person. It’s usually around New Years where I’m tired of the hustle and bustle and need to ground myself back to what is most important….being heaven bound and getting my family there with me. This week I posted on my Facebook for people to give me ideas to share with you of resolutions that would help us grow closer to Christ this new year. If you are like me, sometimes it is hard to come up with the right resolutions, so I hope these will inspire you to take this new year as an opportunity to grow to know Christ in a deeper more personal way…maybe in a way you have never known him before. Andrew suggests attending daily Mass. Scott suggests saying a novena each month for someone in need. He also suggests attending confession regularly. Amy suggests reading & learning more about the saints and following the examples of their great faith & obedience to God’s will. Patti said she prays two “Our Father’s”, “Hail Mary’s”, and “Glory Be’s” every day for 3 years in honor of each drop of blood Our Lord shed for love of her. Anita suggests committing to at least one hour of prayer in the adoration chapel for the sake of the salvation of souls. Jacque says that her husband started in Advent (liturgical new year) with a resolution to read every Papal encyclical ever written. She also said that it is amazing how timeless they are and how Popes hundreds of years ago seem to address so many of the same things we face today. Bonnie suggests deferring to prayer FIRST, not as an after-thought. Marsha suggests praying the Rosary more and asking our Blessed Mother to intercede for those in need. My husband is going to dive into scripture as a daily practice. These are all great ideas. The idealistic part of me wants to do them ALL! But, the realistic part of me knows that I need to choose a few and be dedicated to those, so I can really commit in order to truly grow in my relationship with Christ without feeling overwhelmed. Thanks to all those who gave these great ideas. And, if you blog readers have any additional ideas to share, leave me a comment and I will post it for everyone else to read. I pray you all have a safe and wonderful New Year and that this next year is one where you get convicted of being authentically Christian and that your conviction draws others to Christ as well!